Tourism & Exchange Division participated in Okinawa Tabi Festa 2017 for the first time. 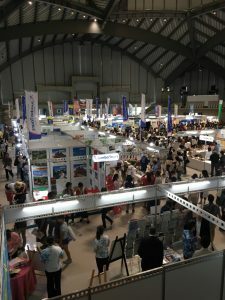 Okinawa Tabi Festa has been organized since 2015, to encourage Okinawa residents to travel outside of the island. Total of 31 exhibitors from domestic and international destinations participated in this event to introduce their tourism products. 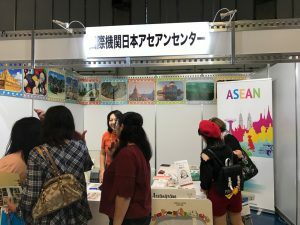 AJC distributed brochures of ASEAN travel information, introduced the winning products of the Mekong Tourism Award, SNS, and Mekong style fortune-telling at the booth. 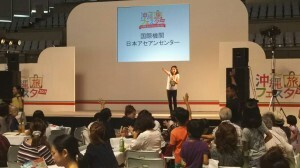 The promotional video of “Visit ASEAN @50” was played on the stage, and AJC conducted ASEAN quiz for the audience, with VA@50 novelties as winning prizes.